Made It Through Mum: Never Miss a Special Moment in your life; Dissolve BREAKTHROUGH CANCER PAIN fast! 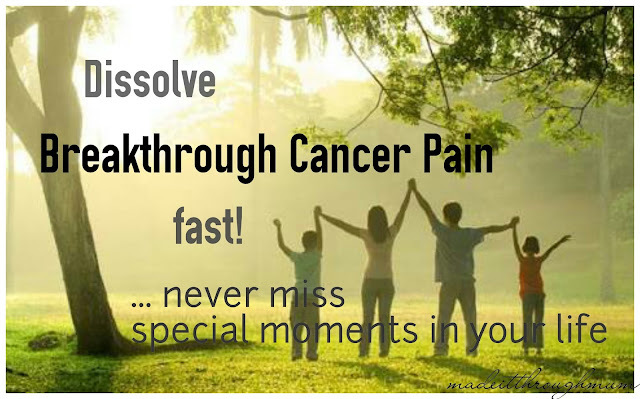 Never Miss a Special Moment in your life; Dissolve BREAKTHROUGH CANCER PAIN fast! 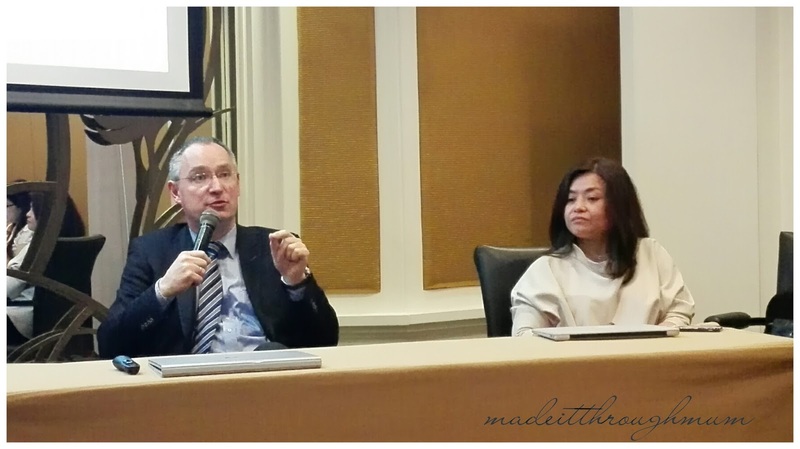 Last March 8, 2017 a blogger's event was held to discuss what breakthrough cancer pain is, and introduced a game changer in its management at Edsa Shangri-la. Cancer is enough to affect one’s quality of life but breakthrough cancer makes things worse for patients. background pain and breakthrough cancer pain. According to Professor Uberall, Breakthrough cancer pain (BTcP) is a transient exacerbation pain that occurs either spontaneously, or in relation to a specific predictable and unpredictable trigger, despite relatively stable and adequately controlled background pain. BTcP is characterized by a sudden onset of pain that reaches peak intensity within as little as 3 minutes and lasts for an average of 30 minutes. Patients with cancer have around 4 episodes of Breakthrough Cancer Pain in a day. What is Breakthrough Cancer pain? It is a common problem among cancer patients and is also known to have a severe detrimental impact on quality of life (QoL), including daily functioning, social relationships and enjoyment of life. Furthermore, a number of studies have reported that a large number of patients with BTcP feel dissatisfied with their pain control. Thus there is a need for effective treatments for relief of BTcP as current treatments do not adequately address BTcP. - make it more difficult to treat persistent pain. - effective treatment of breakthrough pain is not only good for medicine, but also cost-effective. -research has shown that cancer patients with BTcP have medical costs that are five times higher than those without breakthrough pain. ** These findings suggest that the incremental costs associated with proper assessment and management of breakthrough pain may reduce the need for more expensive medical interventions such as hospitalizations and physician visits. See, how BTcP affects a patient and the people around them? Now, cancer patients who suffer from Breakthrough Cancer Pain do not have to miss those special moments in their lives. If you or any of your loved ones are suffering from Breakthrough Cancer Pain, please seek consult with either your pain/palliative care specialist or medical oncologist. Let us help them preserve those moments.